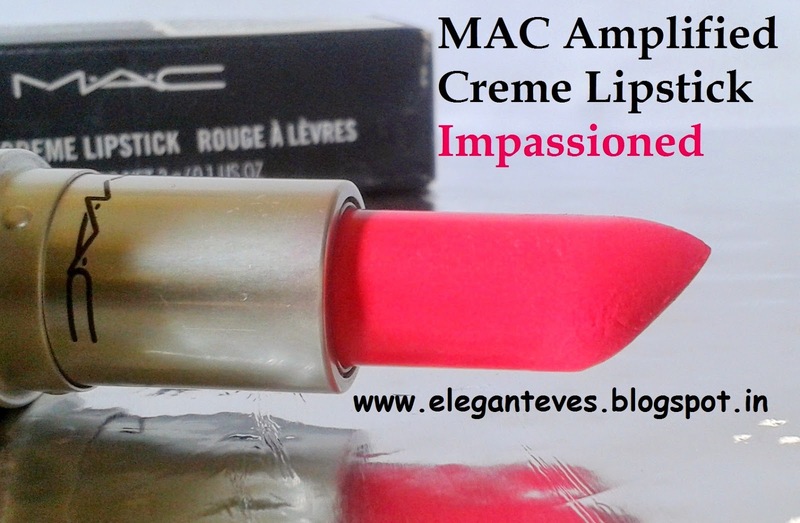 REVIEW, SWATCHES, LOTD OF MAC AMPLIFIED CREME LIPSTICK "IMPASSIONED"
Hey all!! 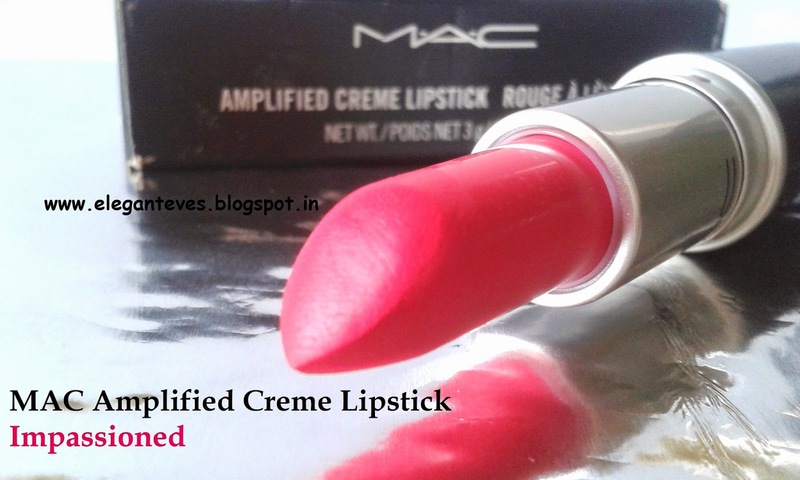 I am back with another MAC lipstick review today. I have never (!!!!!) visited a MAC store till now, and all my MAC stuff reaches me through my friends. 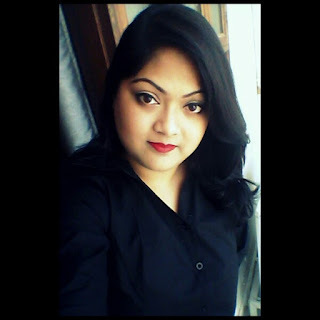 My first MAC lipstick, or lipsticks (I had got three of them at one go) was bought on my behalf by my bestie Madhubani after I had literally eaten her head for few months regarding which shades I should purchase :D We had zeroed in three options- a true red, a warm hot pink and an MLBB. Thus, Ruby Woo, Impassioned and Mocha landed in my kitty. (Read my take on Mocha here). Packaging: The classic MAC lipstick packaging-Black carton and black lipstick body with micro silver specks and a silver band in the middle. 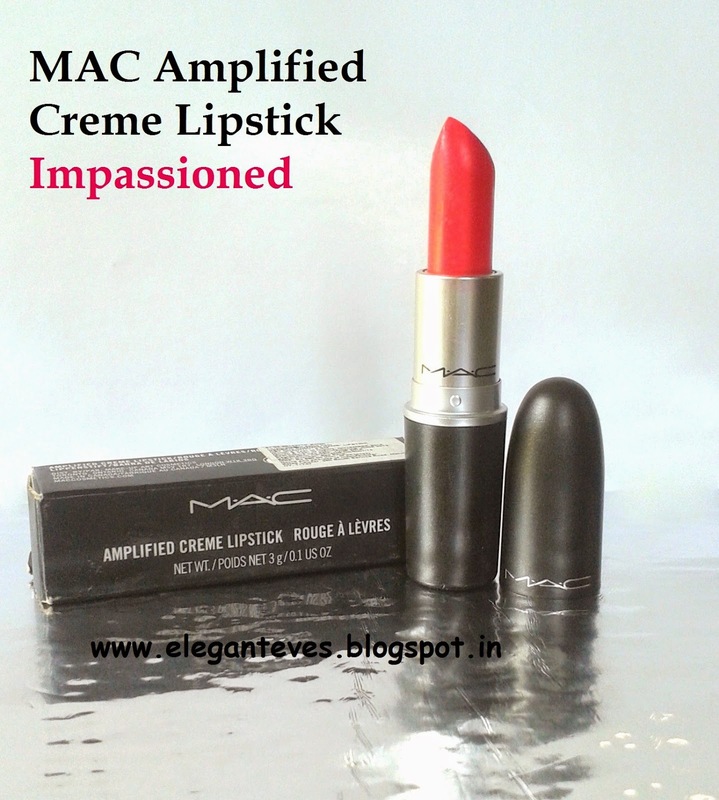 Texture-wise, I am a fan of MAC’s Matte and Satin range of lipsticks. 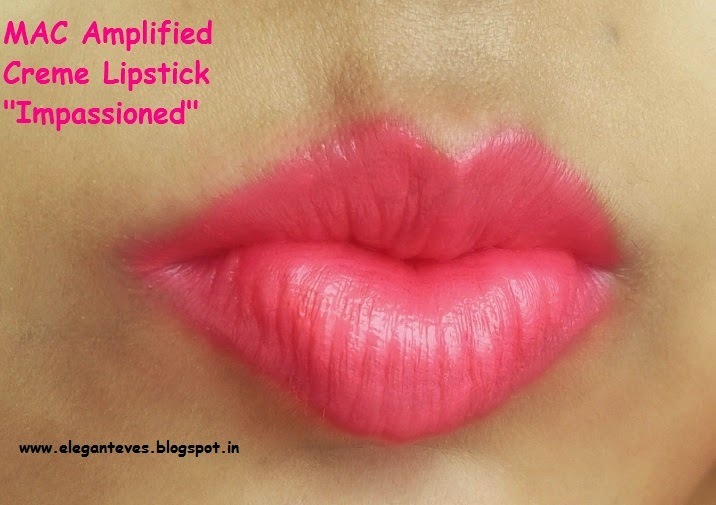 This is because lipsticks from those range gives an opaque coverage just with the first swipe across the lips. 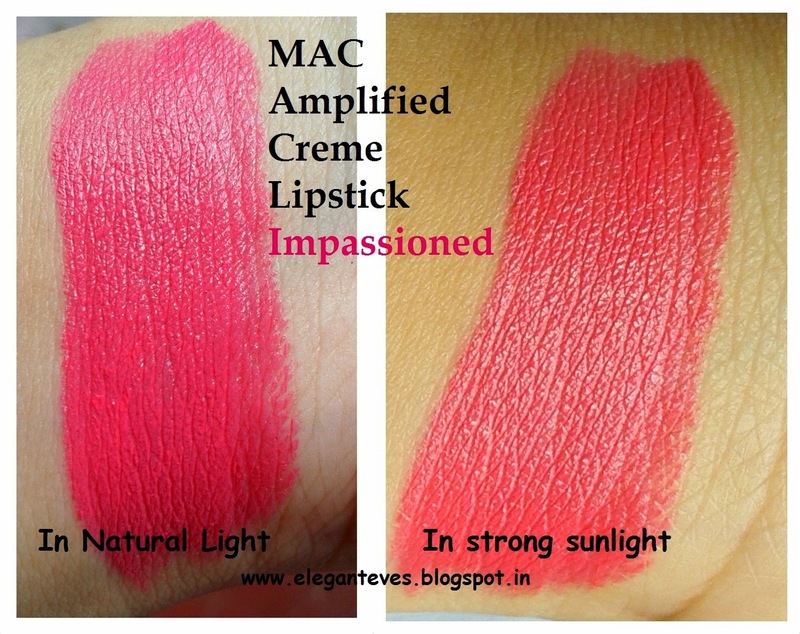 As for MAC Impassioned from the Amplified Crème range, I have to swipe it across my slightly pigmented lips almost thrice to get the true color on the lips. 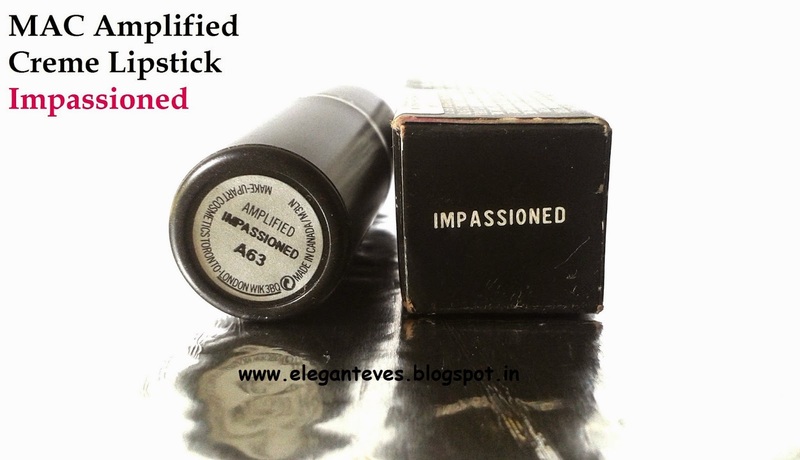 Once applied, it doesn’t feel heavy and lips feel moisturized too, unlike the matte range. Staying power is pretty long (even though it transfers) and Impassioned leaves a strong pink tint on my lips even when it’s wiped off the lips. I have to use a makeup remover twice or thrice to get the color off completely from my lips. 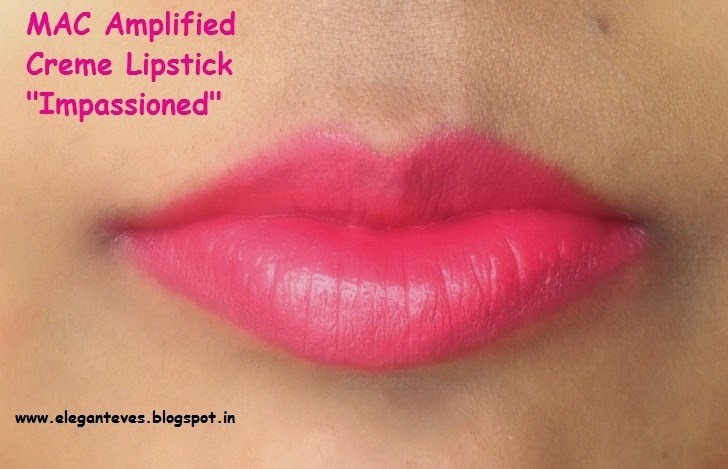 Recommendation: MAC Impassioned is a true bright hot pink which would come out neon on wheatish and deeper complexions. 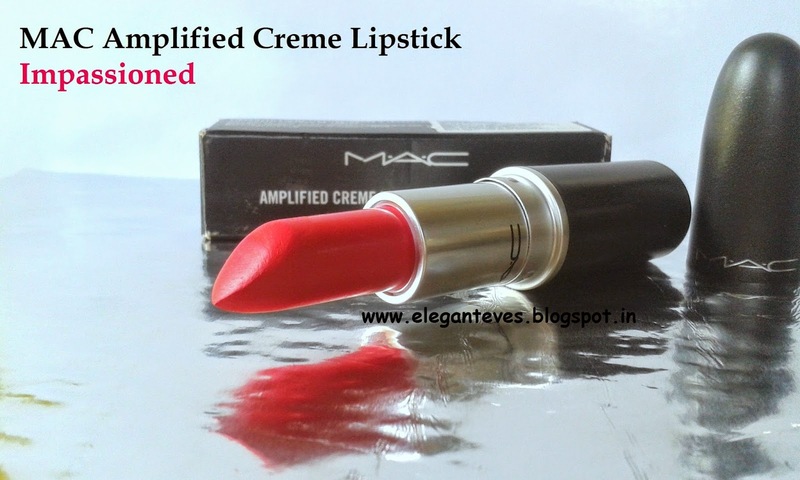 I would recommend this shade to only fair skinned ladies.